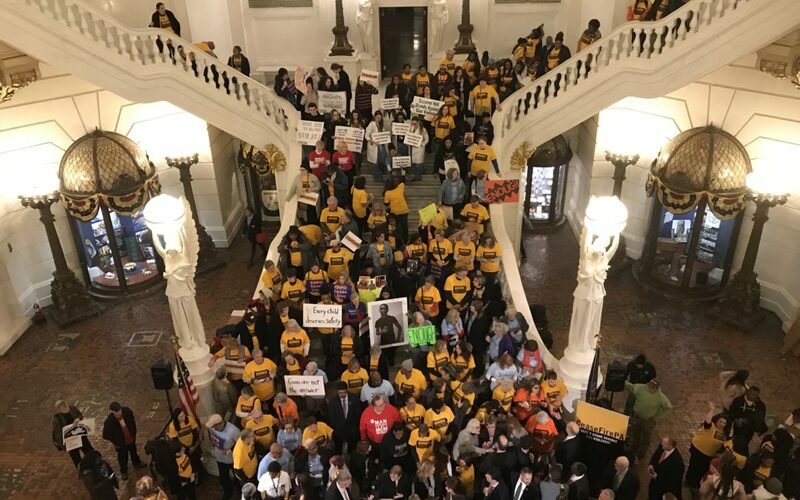 Early in the new legislative session, CeaseFirePA brought doctors, students and survivors from across the Commonwealth to rally at the capitol. They demanded that PA legislators pass legislation that keeps guns out of the hands of those who should not have them. Many elected officials stood with us in the rotunda, including Governor Wolf and Lieutenant Governor John Fetterman. Limits on magazine capacity, limiting the amount of time shooter have to continuously fire. Requiring safe storage of firearms, keeping gun owners responsible for keeping their guns secure and preventing access by those who should not have them.